Barcelona are reportedly considering a surprise move to seal the transfer of former Chelsea star Oscar as an alternative to Liverpool’s Philippe Coutinho. 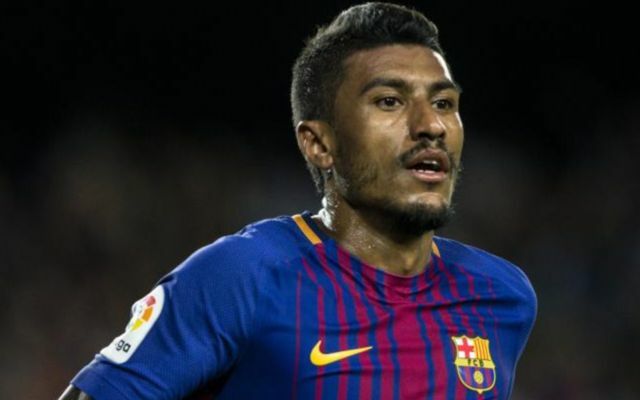 The Catalan giants raised one or two eyebrows when they signed Paulinho from Guangzhou Evergrande in the summer, but he’s gone on to be a big hit at the Nou Camp. Despite a number of big names recently opting to leave Europe for surprise big-money moves to China, it seems it doesn’t necessarily have to be a career-ender at the top level. According to Don Balon, Barcelona are eyeing up a number of alternatives should they fail to sign Coutinho from Liverpool, and Shanghai SIPG man Oscar is one of them. The Brazil international was initially a big star for Chelsea before losing his place and leaving last season, but it’s easy to imagine him fitting in nicely in this Barca side. He may not be at Coutinho’s level, but it’s likely he wouldn’t be the club’s first choice anyway as Don Balon also mentions Arsenal’s Mesut Ozil, Lyon’s Nabil Fekir and Gremio’s Arthur as options in that position. Still, Chelsea fans may be amused to see Oscar return to a big club again after fading at Stamford Bridge and making what looked an unwise move to China in terms of remaining at a competitive level.